People struggle to develop and maintain new habits because they make their efforts unsustainable. They work out like crazy for a few days (usually at the beginning of the year), and never go back to the gym. They try to build an empire fueled by a burst of inspiration on a random Saturday afternoon. To build the identity of the person you want to become, ask yourself what the behavior of a person who has the habit you want to develop is? What is the behavior of a prolific writer? He or she cracks open a notebook every day. James Clear refers to this as identity-based habit formation. In An Audience of One, I shared a story James told me on the Unmistakable Creative podcast about one of his readers who lost over 100 lbs. Instead of setting a goal to work out, he set a goal to drive to the gym, and he would only allow himself to stay for 5 minutes. After a certain point, he realized that he might as well work out. 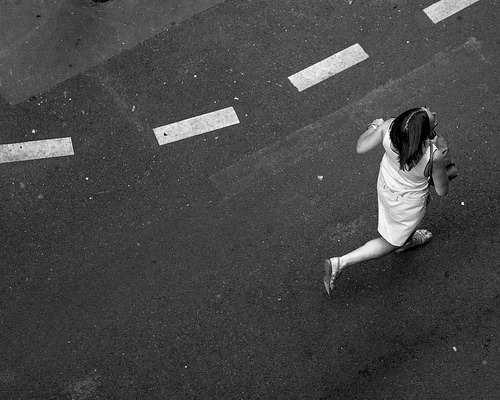 If you take the first step towards a habit, the inertia is often enough to carry you to the next one. Note: I was fortunate to get a sneak peek at James’ New book, Atomic Habits (available for pre-order on Amazon). Sometime last year we launched an online course called Finish What You Start. In the process of developing that course, our copywriter Kingshuk came up with the term minimum viable action. In the same way, a startup can launch a minimum viable product; you can take minimum viable actions to develop a new habit. When you take a minimum viable action, the inertia is often enough to carry you to the next step. You build momentum and the identity of a person who has your desired habit until you become the next best version of yourself. If you’re not on a deadline, you’re going to work on something until you feel no resistance to it. Could I write for an hour today? No the thought of it puts me off. What about 45 minutes? Thirty-two? Twenty fifty? Yeah, I can do 15. Then refocus for 15 minutes. You find that resistance level to tame distractions and then over time as you ritualize this idea you block off periods in your calendar to get into this mode. Over time you lower that default level of stimulation the amount of dopamine coursing through your brain because of this novelty bias that’s embedded within us and you become better able to think more deeply about your work. When something becomes effortless for you, raise the level of intensity. In the same way, you’d never go from lifting 25lbs to 100lbs in one day, you want to increase the level of intensity to the point where you can get there without too much resistance, but it’s still somewhat challenging. To put it more concisely, bend but don’t break. What if You Miss a Day? After 7 years and 2 books, I still miss the occasional writing day. Sometimes it’s because I’m in bed with someone (a good reason to miss a writing day). Other times it’s because I’m hungover, and occasionally I need a break. One way to handle this is to reduce the scope but stick to the schedule. Instead of writing a 1000 word, I write 500. Many people quit altogether after they miss one day. But if you make your goal progress instead of perfection, you won’t be so demoralized by missing one day. When you try to change too many habits at once, none of them stick. If you try to become a person who reads every day, writes every morning, goes to the gym 3 times a week, and meditates daily all in the span of a week, none of those habits will stick. But if you start with one keystone habit, it will create a ripple effect into every other area of your life. One of my first keystone habits was surfing. When I got into the habit of surfing almost every other day, I started drinking less when I went out. I valued being up in the morning because that’s when surf conditions are usually best. After I developed the keystone habit of writing 1000 words a day, what followed was reading every day, and eventually a consistent meditation habit. The best time to stack a second habit is after you’ve maintained the first one with consistency. If you go through this process of stacking, eventually you’ll find yourself making the impossible possible. Every now and then I have a friend who will tell me they want to learn how to surf. I share a story with them that I mentioned in my previous book, Unmistakable: Why Only is Better Than Best. A few weeks after my first three attempts to surf, I went to happy hour at a bar in La Jolla. The guy sitting next to me had been a long time surfer who gave me a simple piece of advice that made the difference between me quitting and becoming a surfer. He told me to go 50 times because by that point I’d be too invested to quit. While he didn’t state it explicitly, he understood that every surf session would have a compounding effect. It took more than 15 sessions before I stood up on a wave. Eventually, I worked my way down from the Costco Wavestorm to riding a 6-foot shortboard and found myself surfing at a skill level that seemed impossible when I started. I had a similar experience with snowboarding. After two seasons and close to 30 days on the mountain, I got to a point where I was able to get down a black diamond. The progress we experience from the compounding effect of any habit isn’t immediately visible. As a result, people give up quickly. They don’t realize that every day the show up they’re building momentum. They are moving closer and closer to a breakthrough or inflection point. I’ve said before that having a system is essential increasing your creative output. Having a system allows you to focus on progress instead of perfection and put your energy and effort into what you control. A system also will enable you to experience visible progress, which in turn increase your motivation. 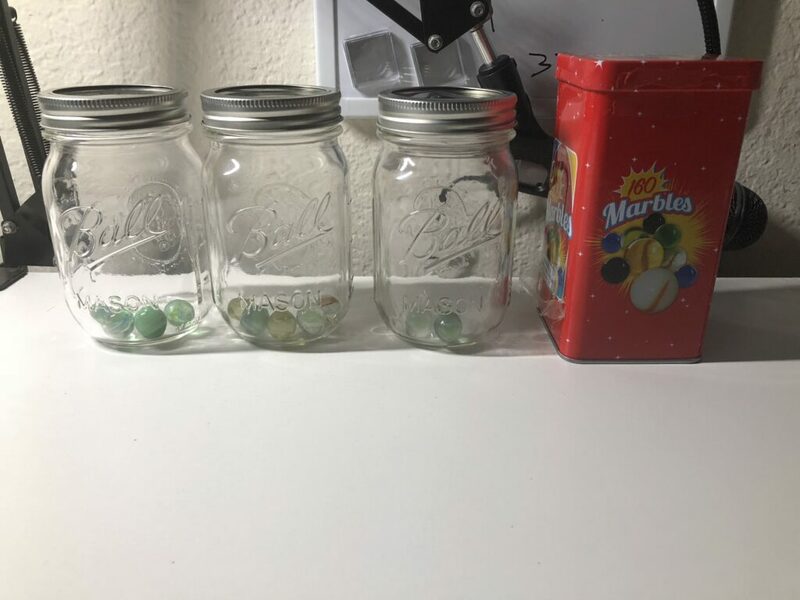 In the picture below you’ll see three jars of marbles. Each jar represents a system that’s tied to a specific goal. Jar 1: I put one marble in for each hour I spend doing deep work like reading and writing, and another for each article I publish. It’s the system that is aligned with my goal of growing our email list to 50,000 subscribers. Jar 2: I put one marble into the jar for each sales call I make or email I send to people who might be able to hire me as a speaker or advertise on the Unmistakable Creative. It’s the system that’s aligned with my revenue goal. Jar 3: I put one marble into the jar for each day I go to CrossFit, surf or exercise. It’s the system aligned with my goal to lose the little bit of a gut that I have before my sister’s wedding in February. It’s my personal adaptation of the paper clip method. It’s worth considering why you want to develop some habit. People read articles like this one and think that’s the reason to develop a habit. They treat guidance like gospel and make decisions that aren’t aligned with their essential priorities. There’s nothing that everybody should do, even though there are plenty of people who will tell you there are. (Most of them they also sell products for how to do that thing they say everybody should do). The goal isn’t to live a life that’s just efficient, but rather a life that’s meaningful. From writing 1000 words a day to learning how to surf, I’ve seen the compounding effect of habits over and over in my life. As I said in An Audience of One, habits are at the building blocks of all creative work and for that matter just about every goal you’d ever want to accomplish.